Working as a blue collar employee in the machine trade Dave began recreational pistol shooting in his early 20’s. The time spent on the range would soon lead to a change in his career path. 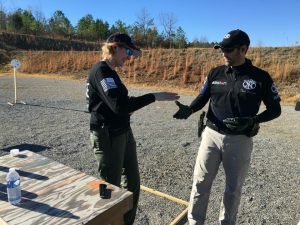 After his first two seasons in competition, Dave would be recognized as one of the most skilled and accomplished handgun shooters in the world of competitive shooting sports. Armed only with target shooting experience, one pistol and a commitment to be the best Dave competed in his first few matches in 1997-1998 with his carry pistol. In 1999, he began practical shooting sports competition in IDPA and USPSA. Using his explosive movement and rising skill, Dave had immediate success at the highest level of competitive shooting…2000-Won his first IDPA Indoor Nationals…2001-Won his first IDPA National Championships and his first USPSA National Championship…2002-Won Steel Challenge World Championship and IPSC World Shoot XIII in Production division. In the United States Practical Shooting Association (USPSA) Dave is a 13x National Champion in Production(6x), Limited-10(4x), Limited(2x) and Single Stack divisions. His six Production wins are the most by any individual and he is the only competitor to win the Limited Nationals with a striker-fired pistol. In IPSC World Shoot competition, Dave competed in three events making it to the podium each time. He has won individual Gold, Silver and Bronze medals along with a team Gold and two Silver medals. Following 19 illustrious seasons spanning 1999-2017, Dave has accumulated 247 major championships in seven different action handgun shooting sports: International Defensive Pistol Association (IDPA), International Practical Shooting Confederation (IPSC), NRA Action Pistol (including Bianchi Cup), Pro-Am Shooting & outlaw steel, Steel Challenge Shooting Association, Tactical Shooting Association and United States Practical Shooting Association (USPSA). 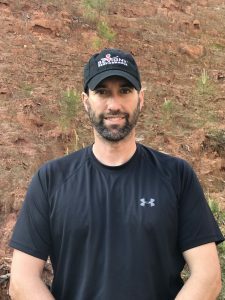 Dave is a five-division USPSA Grand Master class competitor and is recognized as the most accomplished competitor today with polymer frame striker-fired pistols. Being a consistent performer is Dave’s theme and his stats in the most prestigious tournaments speak for themselves. In IPSC/USPSA Level V (World) and IV (National) tournaments he has accumulated 18 wins. During the 2017 season Dave won 7 times, including another Steel Challenge National Championship and Pro-Am National Championship using Warren Tactical Series-Sevigny sights. Dave Sevigny is a world champion and household name in shooting sports yet he continues to conduct himself as a regular guy, right where he began. Polite, humble and committed to sharing his experience you will find Dave mixing in with others anywhere he competes. Off the range, Dave is a husband, father, outdoorsman and hockey player. You can also join Dave on Facebook and Instagram!